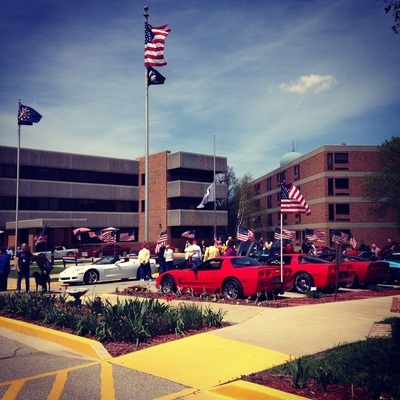 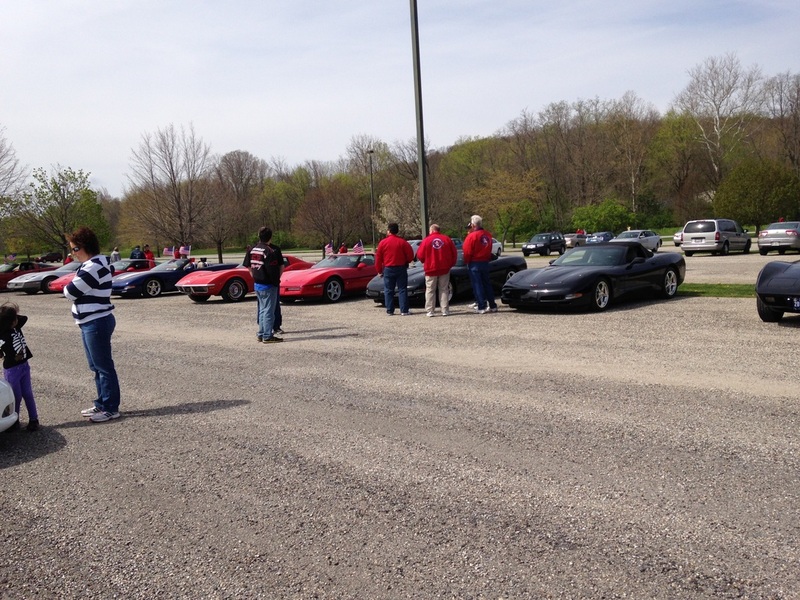 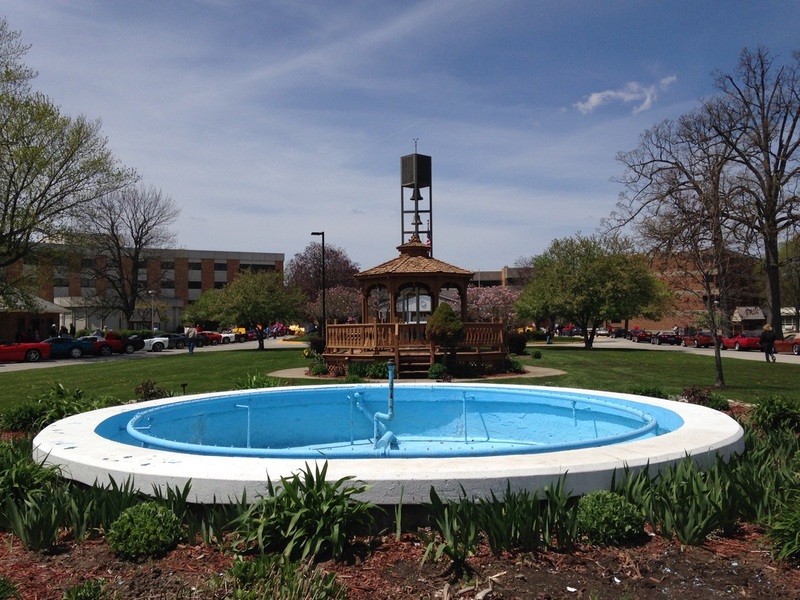 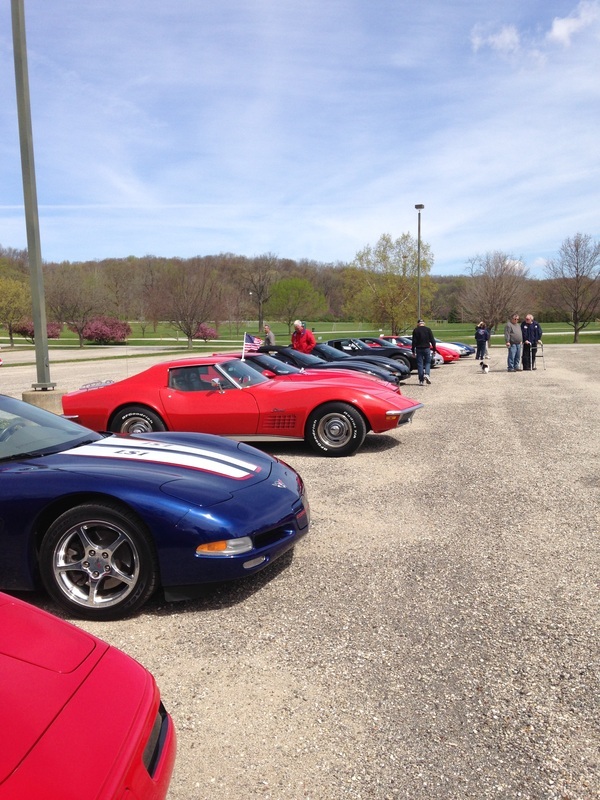 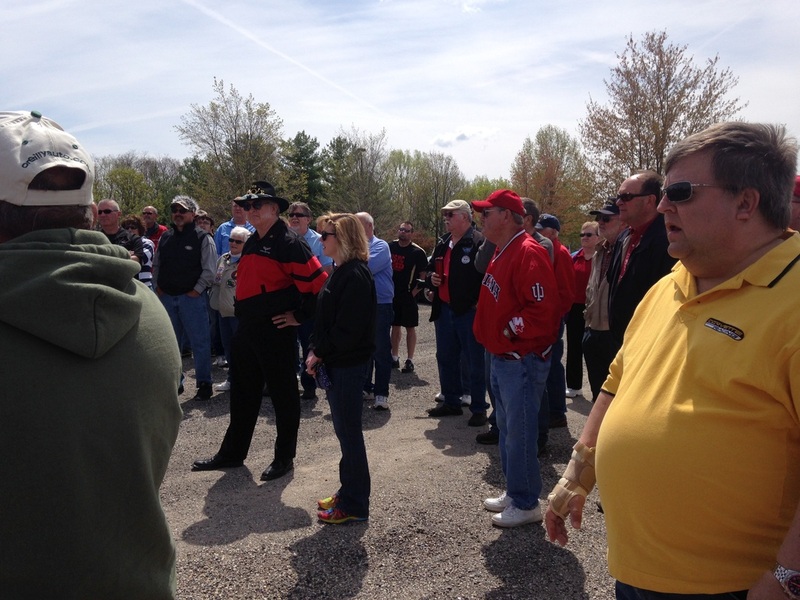 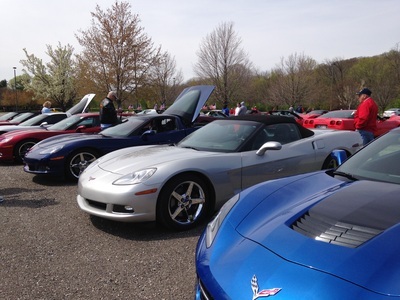 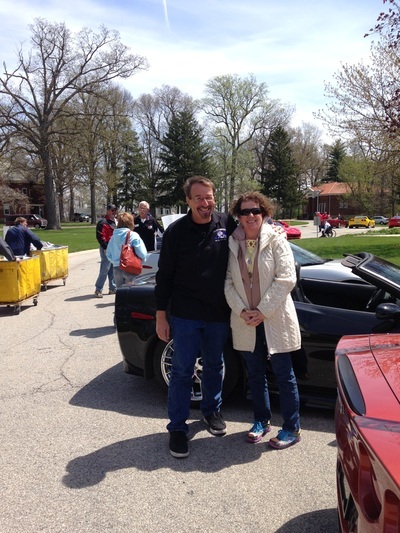 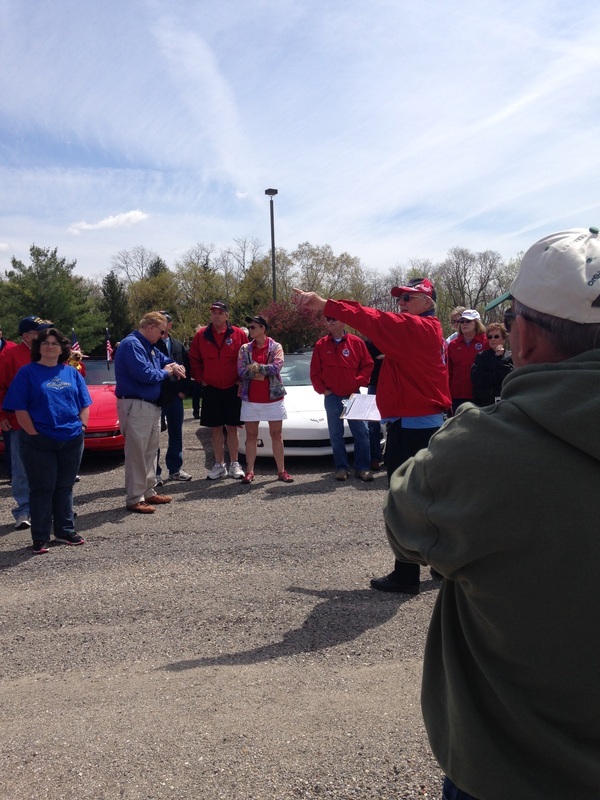 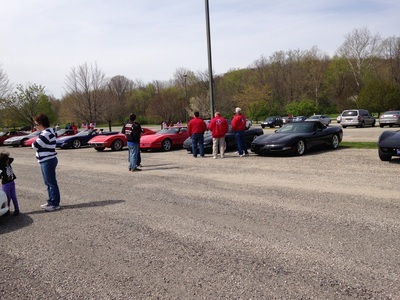 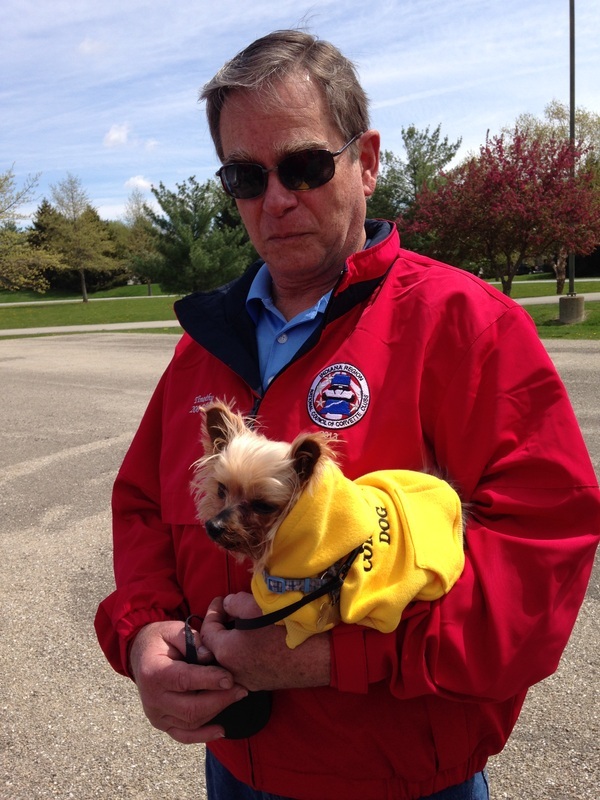 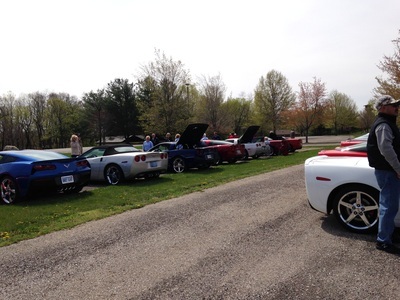 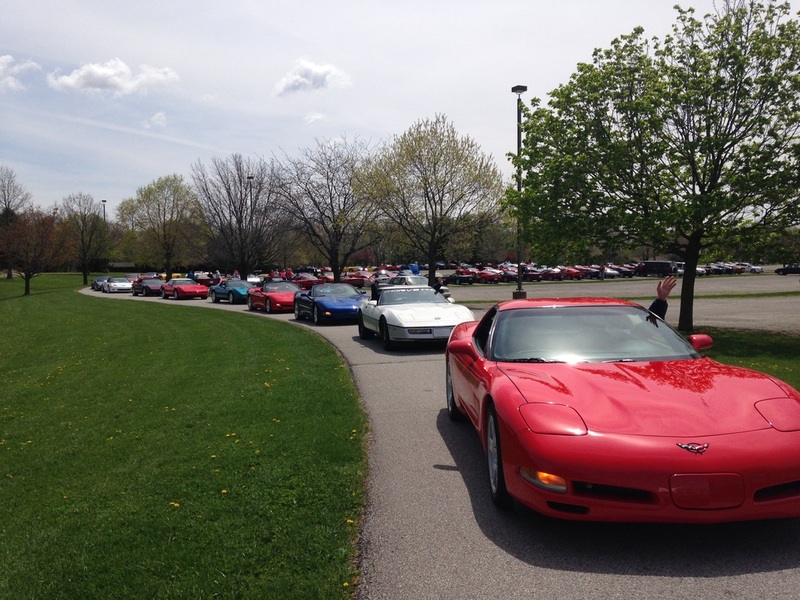 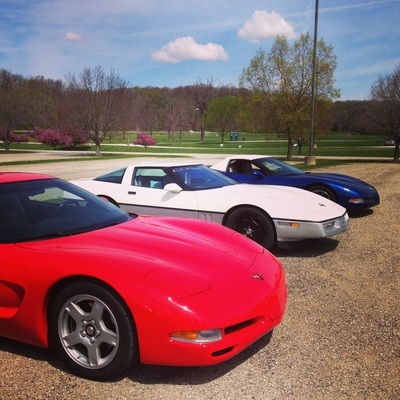 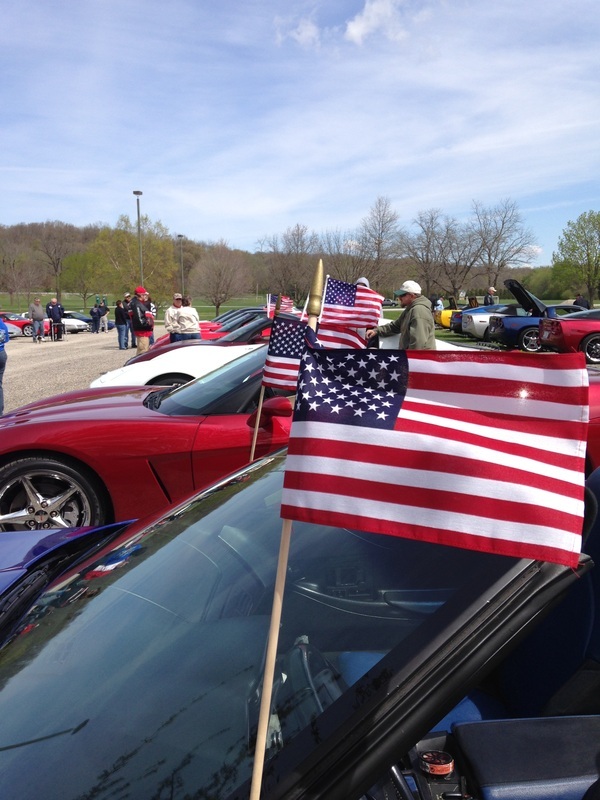 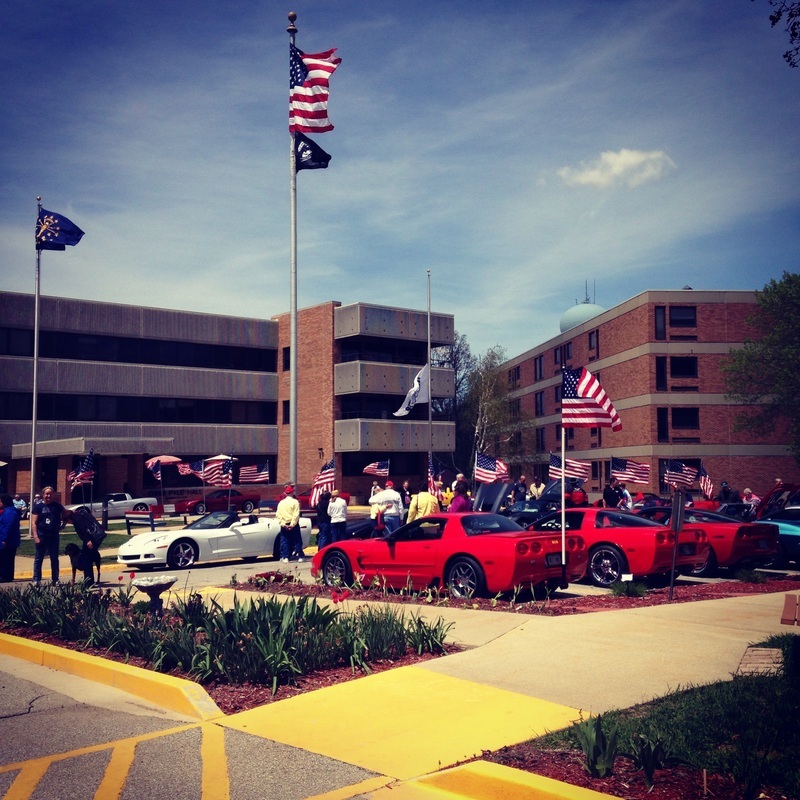 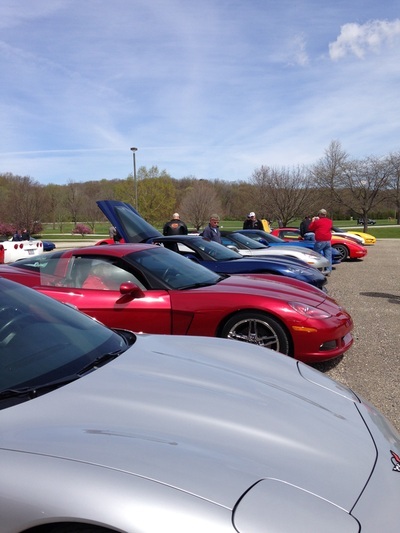 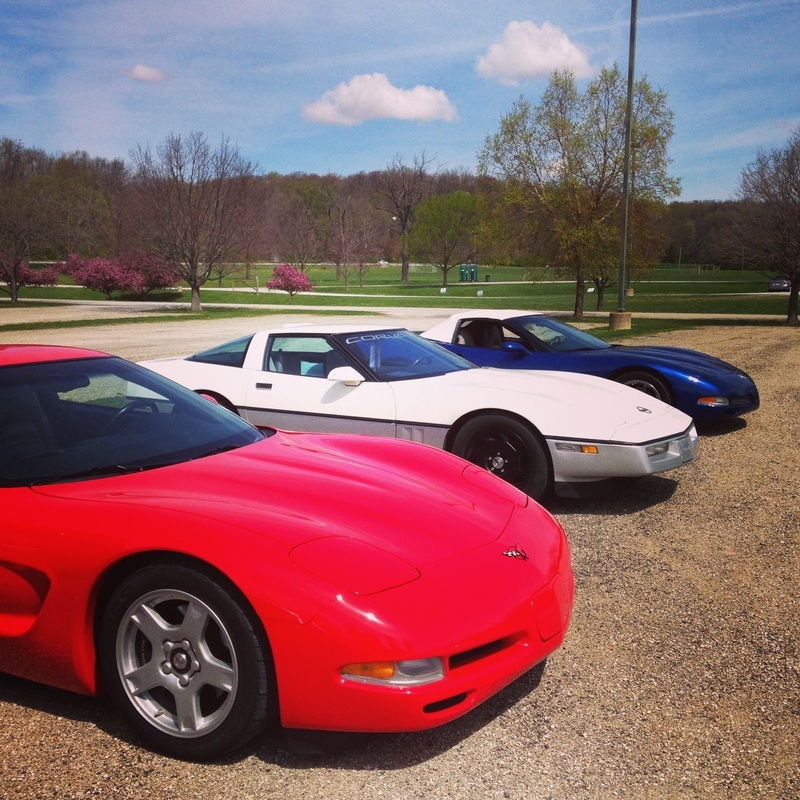 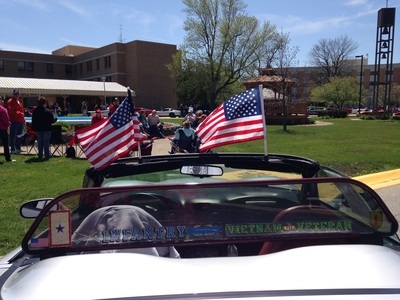 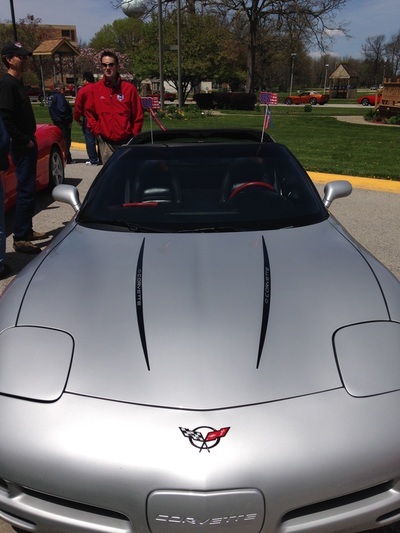 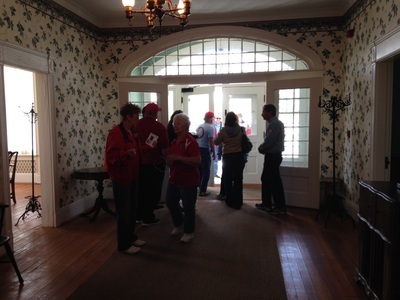 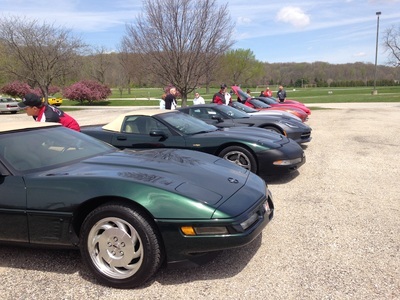 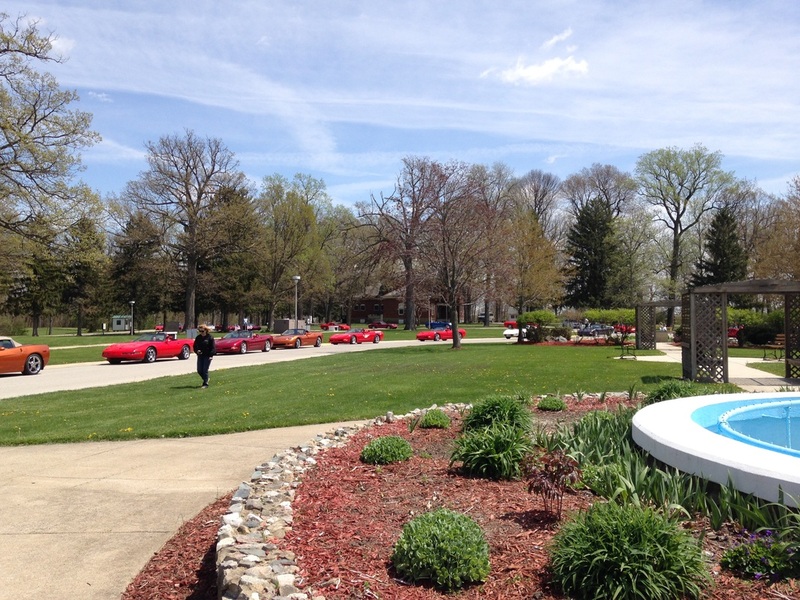 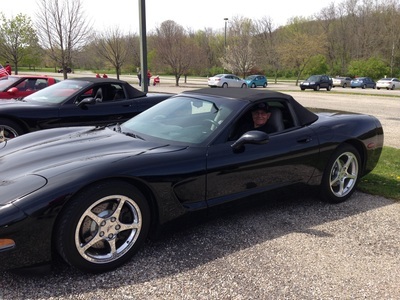 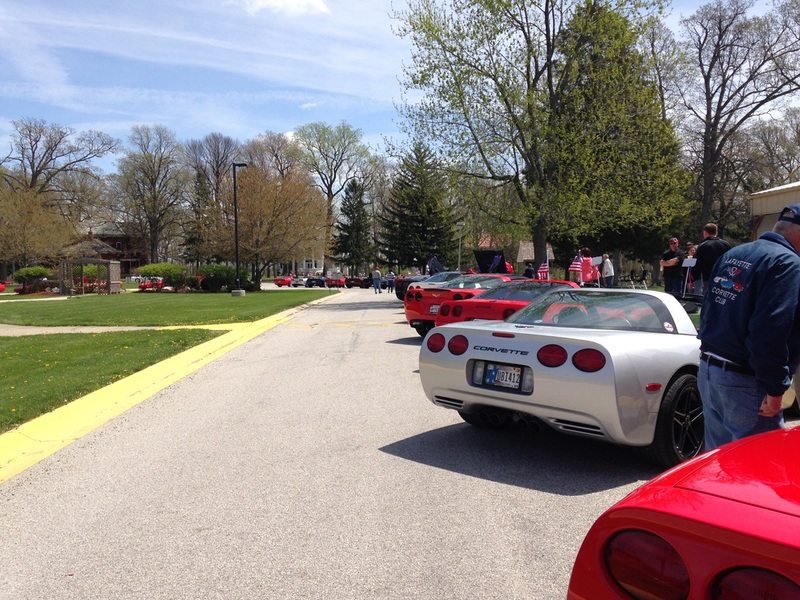 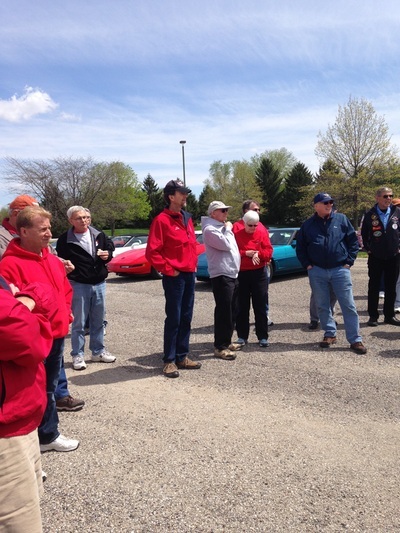 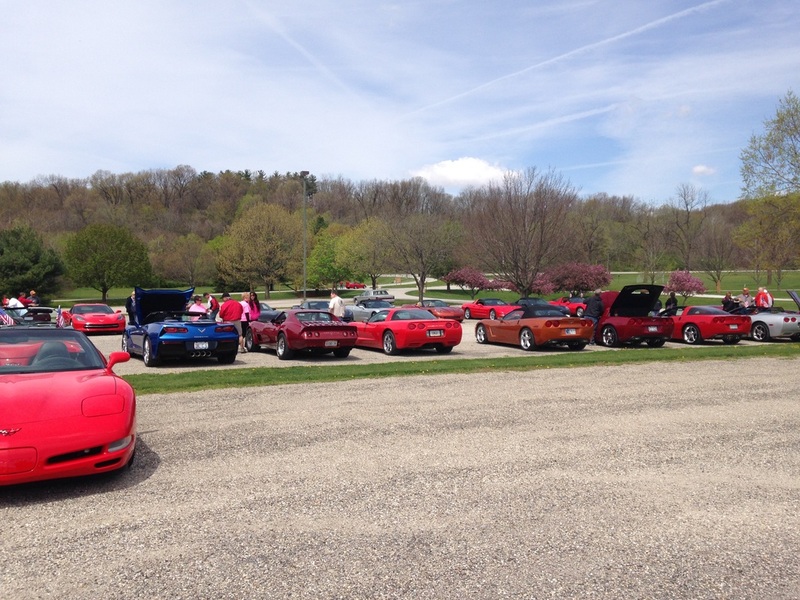 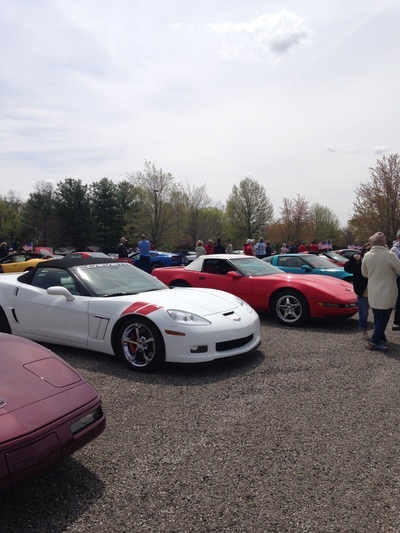 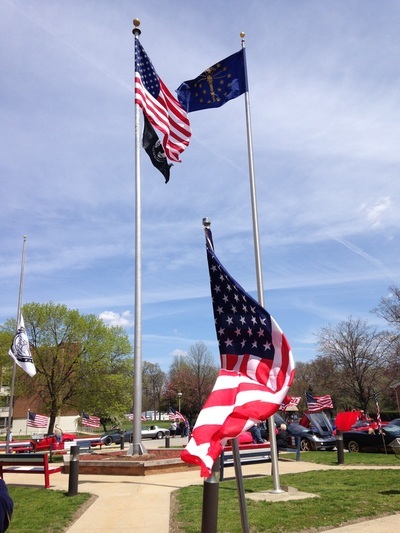 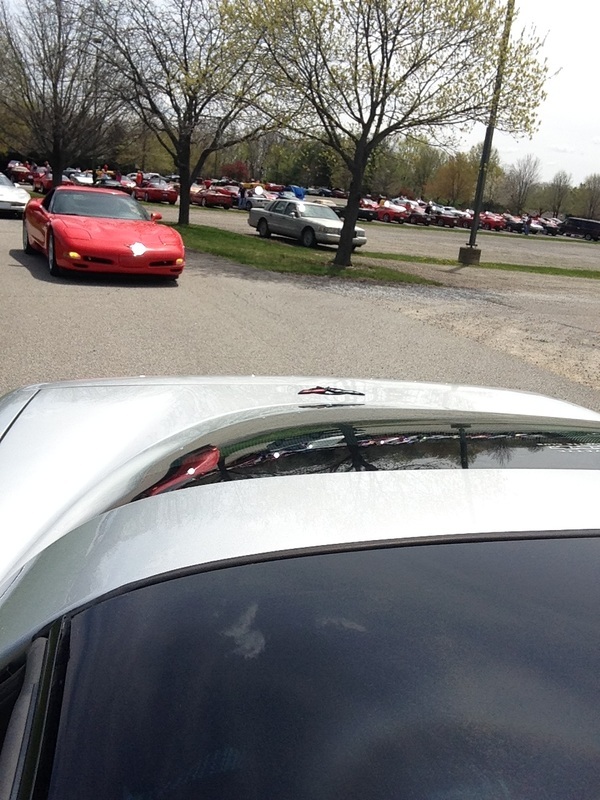 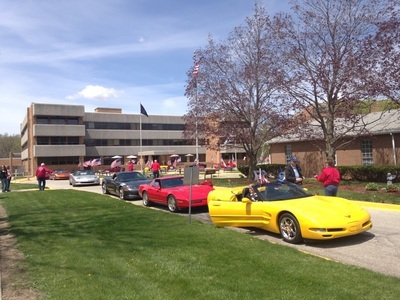 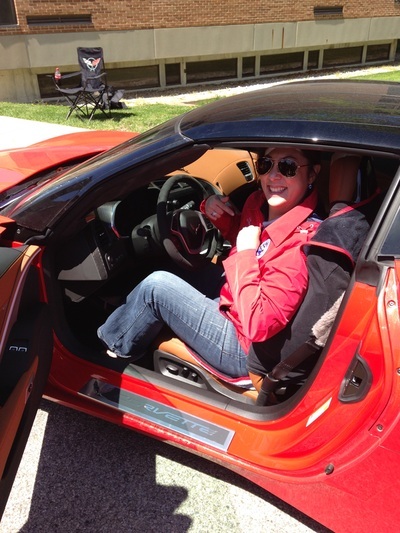 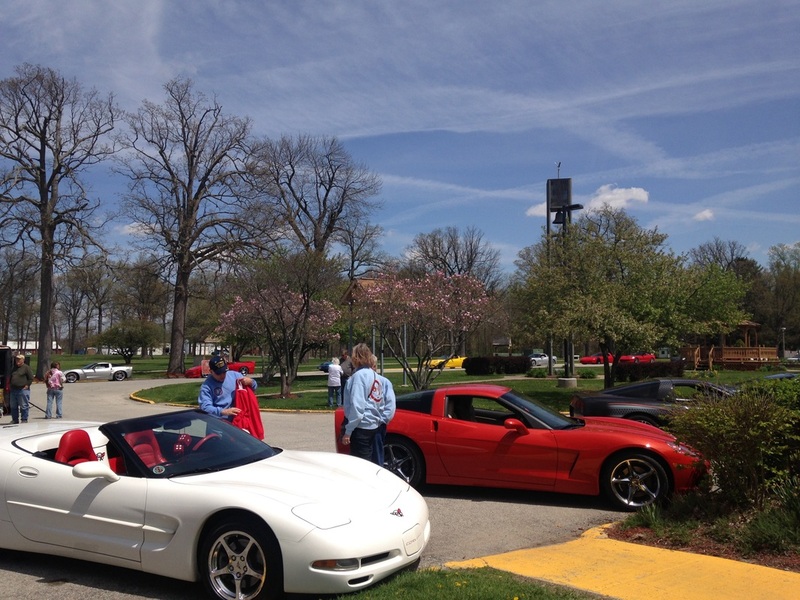 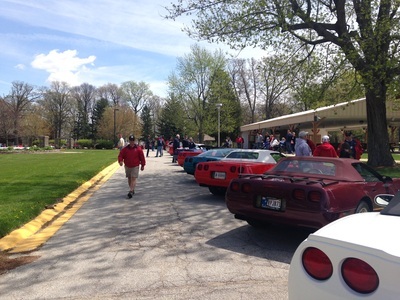 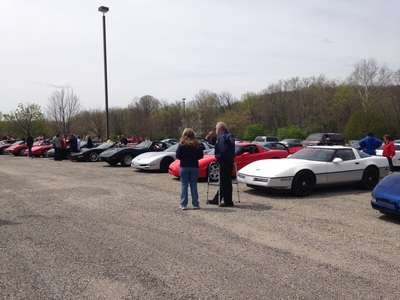 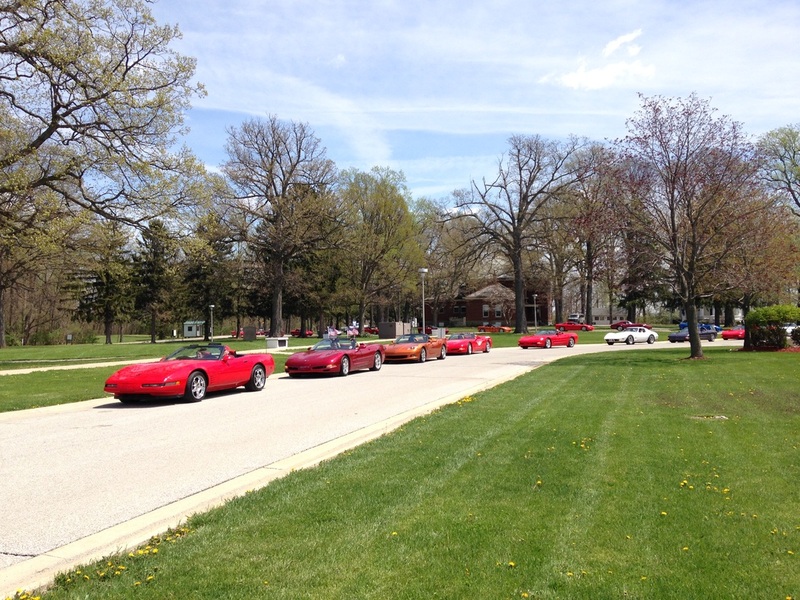 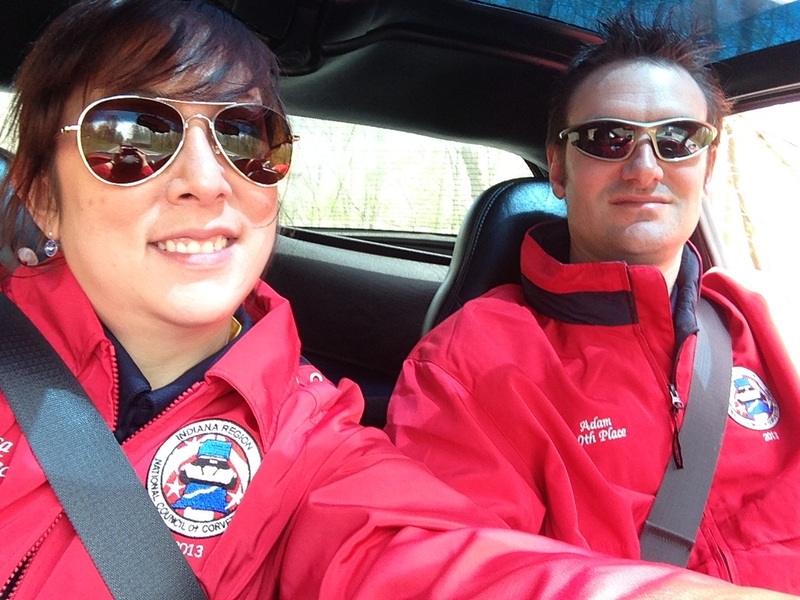 ﻿﻿﻿On May 3 the Lafayette & Star City Corvette Clubs of the Indiana Region held their third annual Vettes for Vets Caravan to the Indiana Veterans Home in West Lafayette. 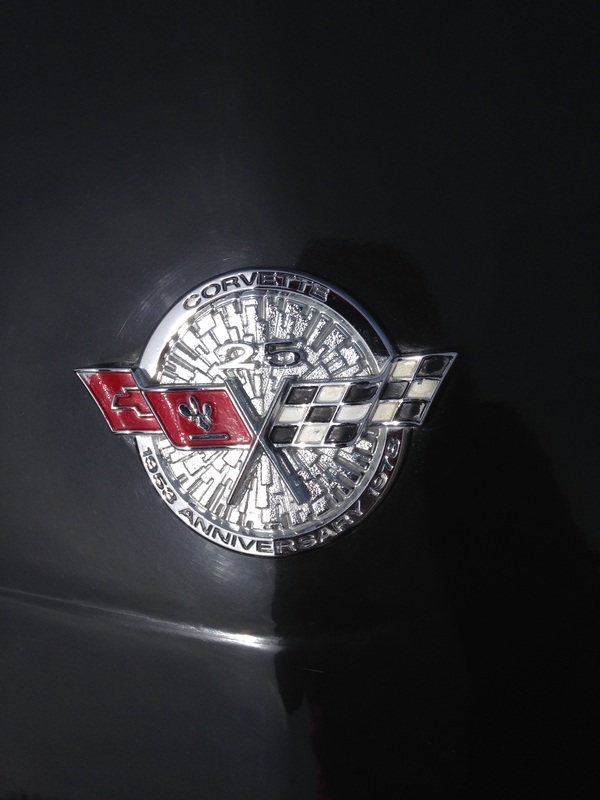 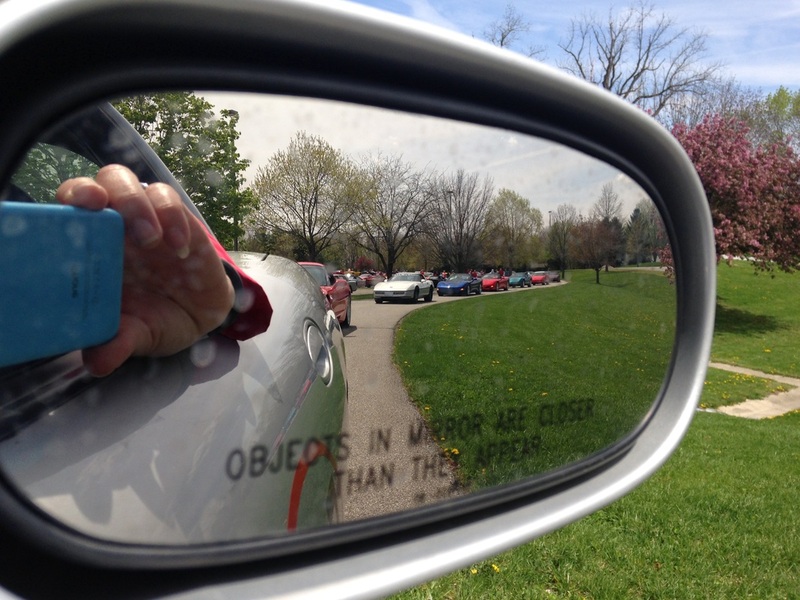 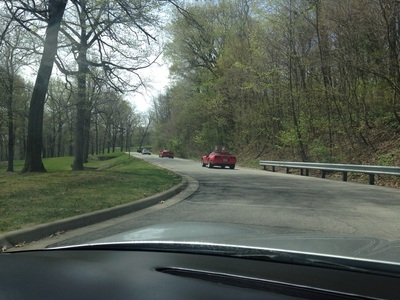 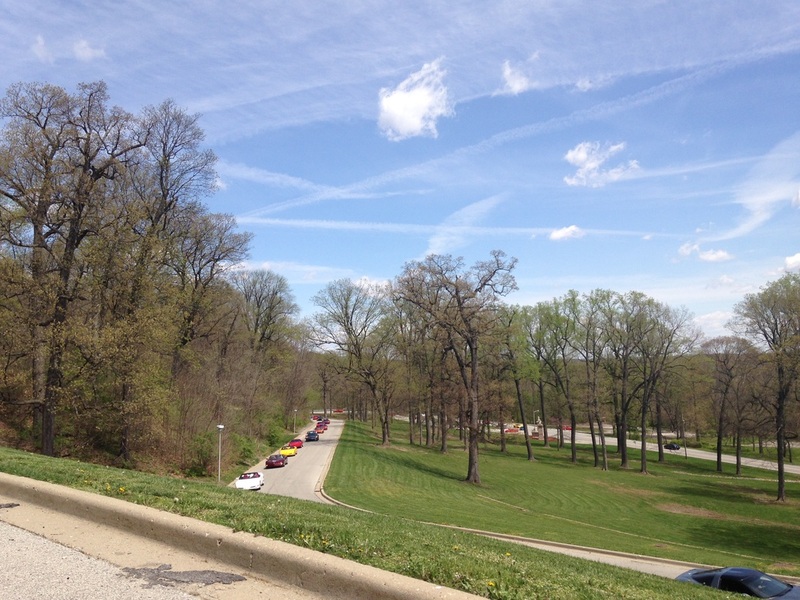 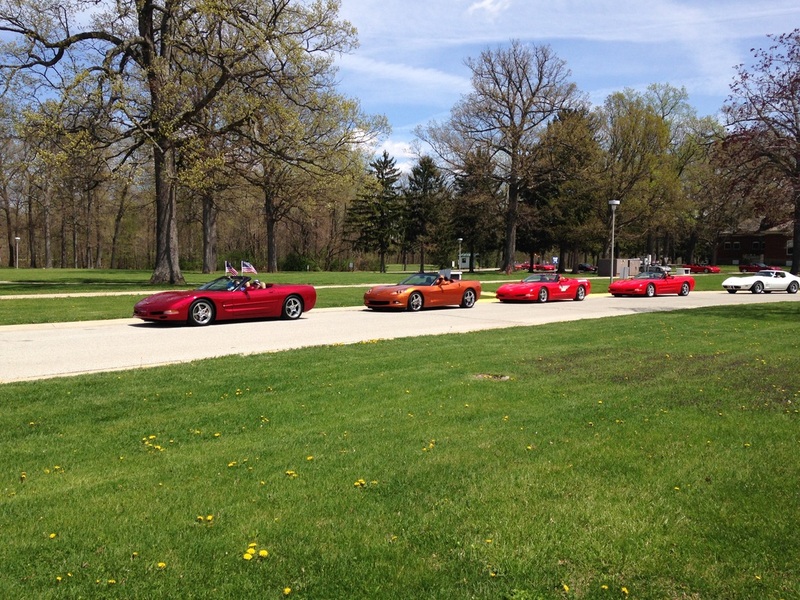 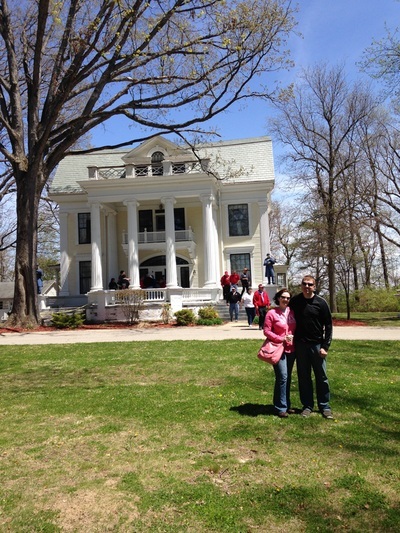 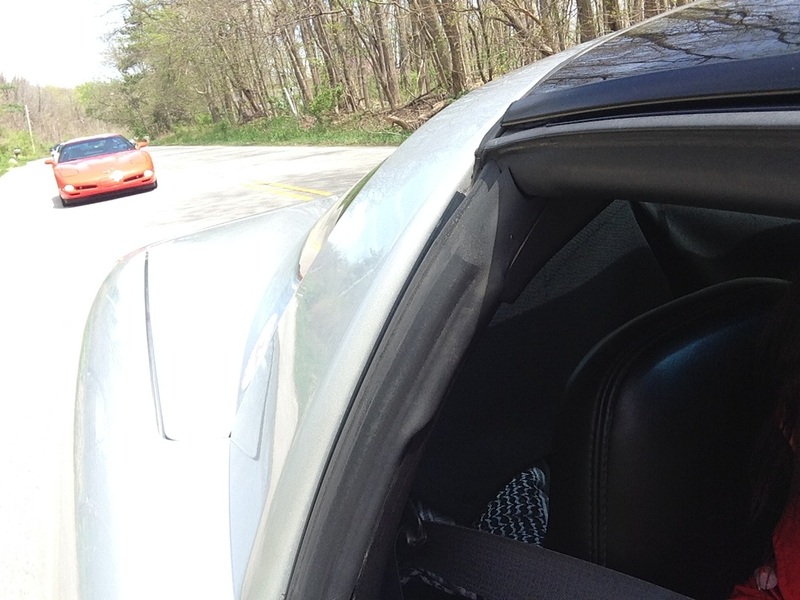 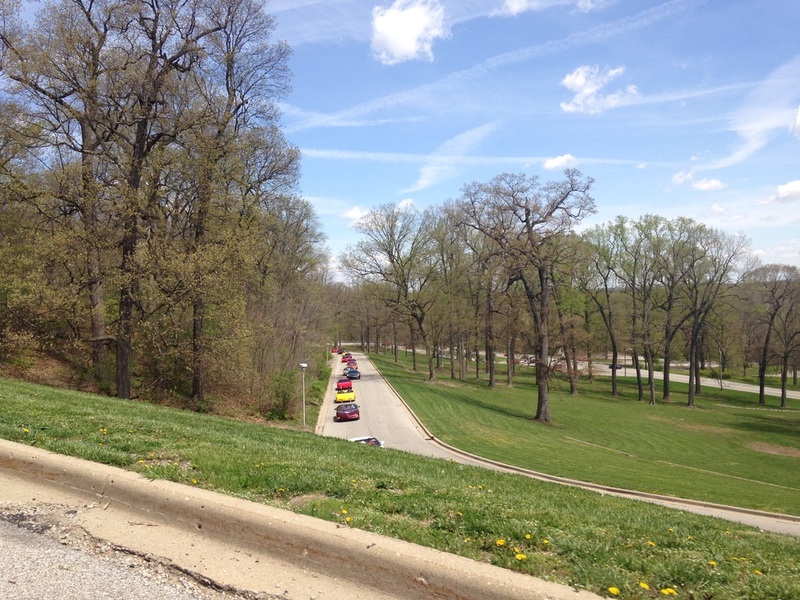 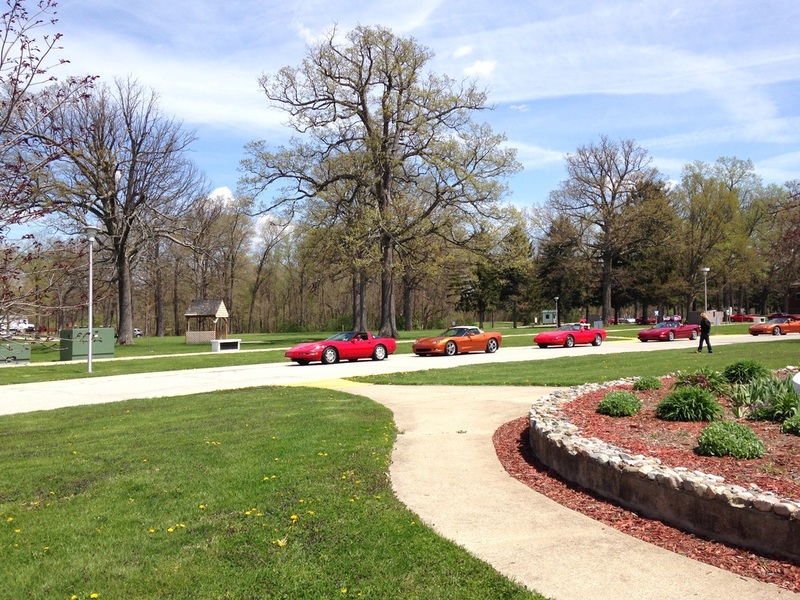 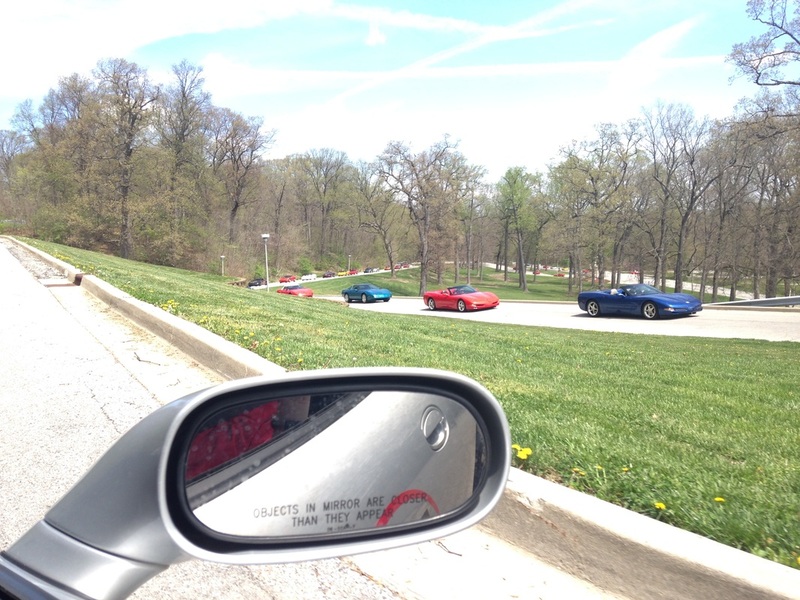 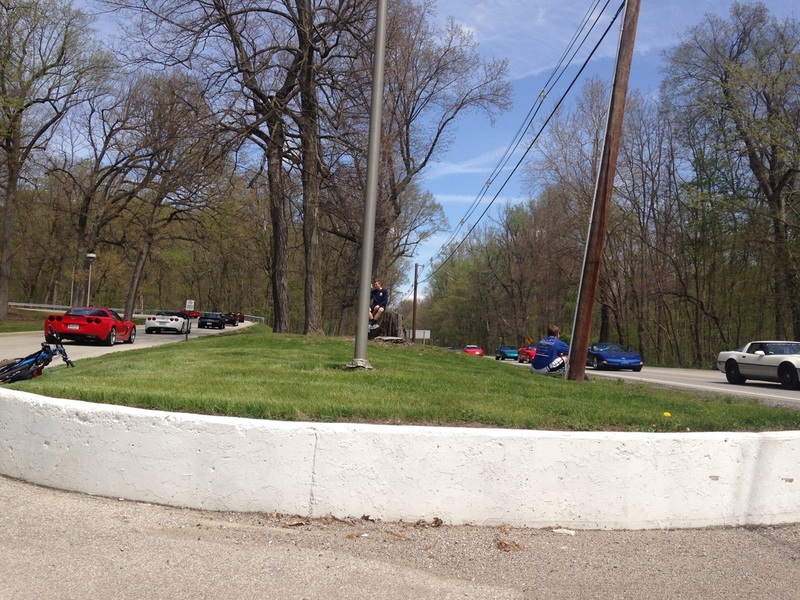 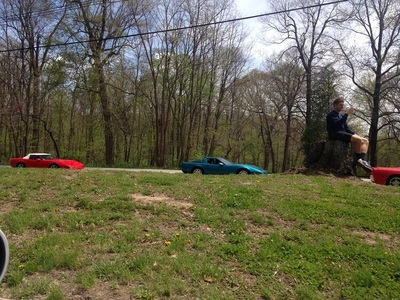 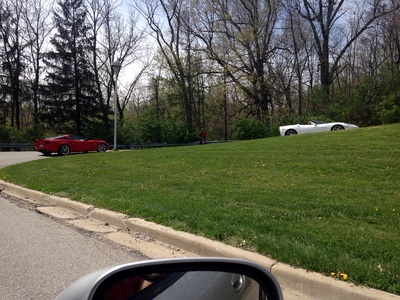 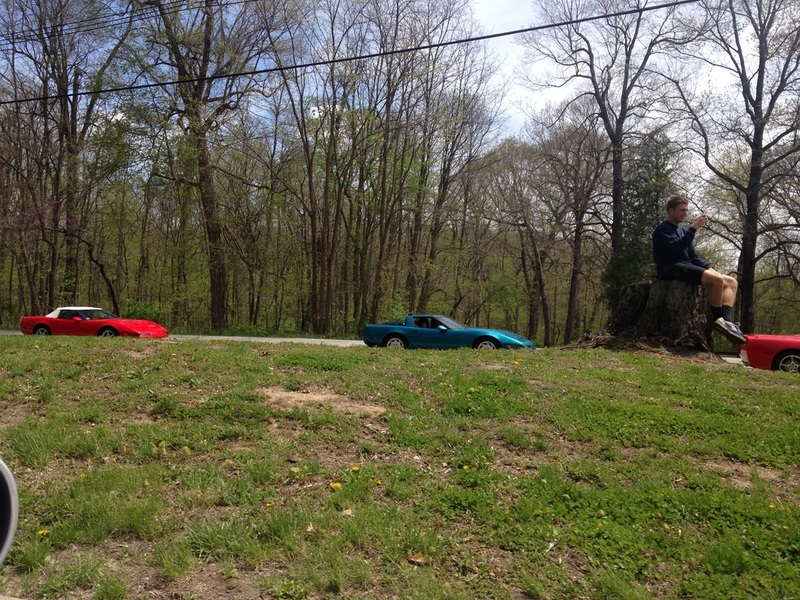 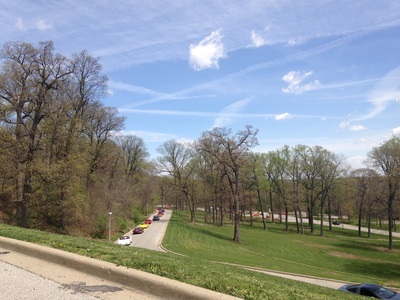 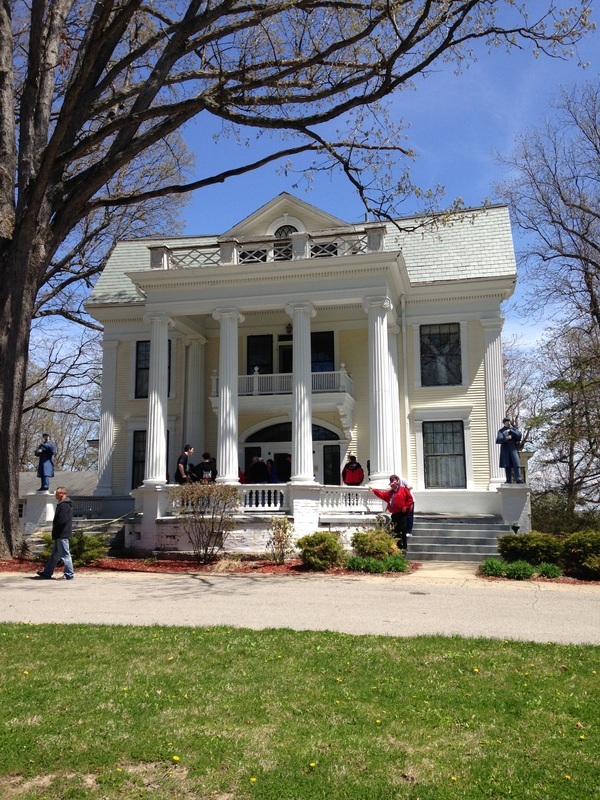 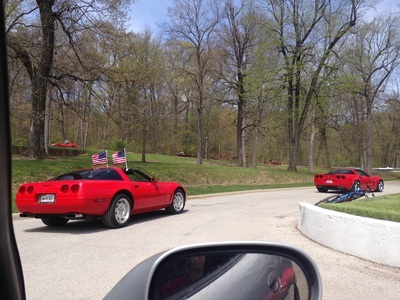 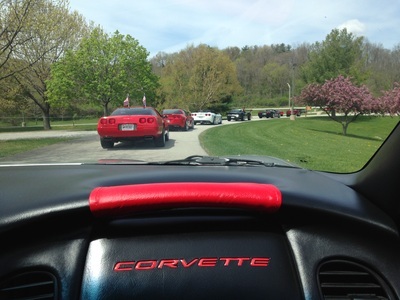 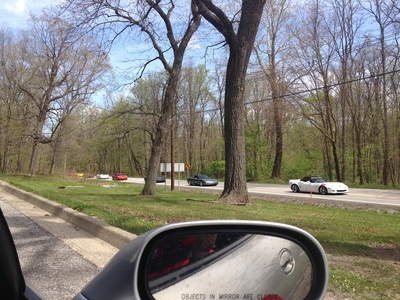 With the weather being perfect this year's event again was a full success with 111 Corvettes joining in the parade to the home from the Tippecanoe Amphitheater parking lot for the 1.3 mile route to the home.The cruise up the picturesque drive is something to see as the Corvettes serpentine the beautiful route. 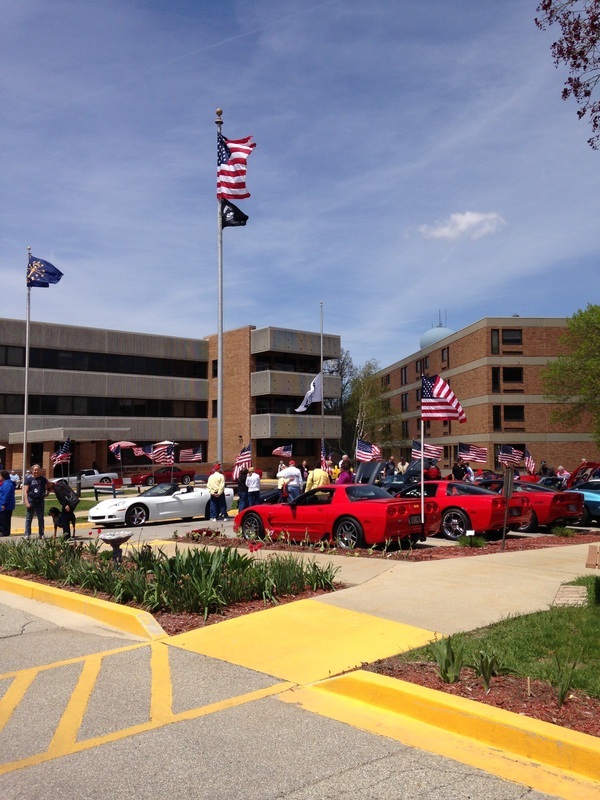 Once at the home cars fully filled up the circle drive and giving a great rainbow of colors for the attendees to see.Donations were plentiful with over $2800 in cash and check being given along with seven laundry hoppers full of items requested by the Veterans living in the home. 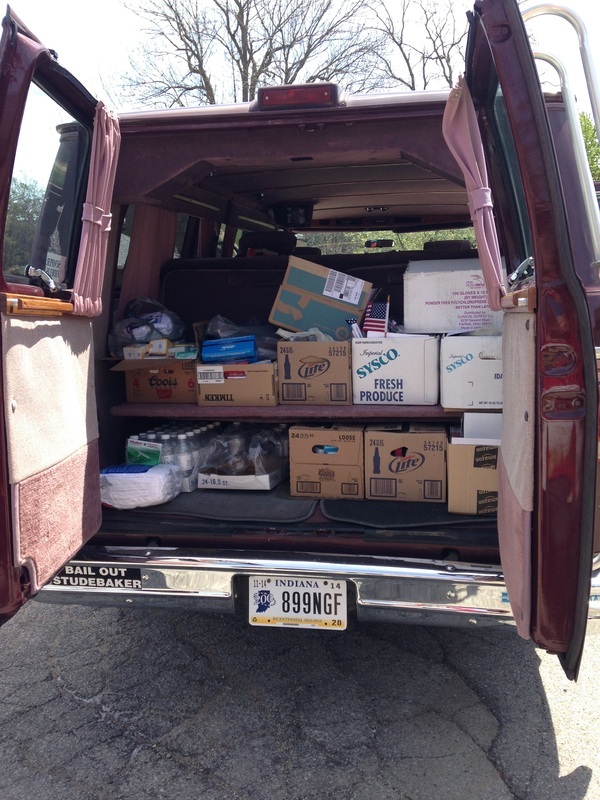 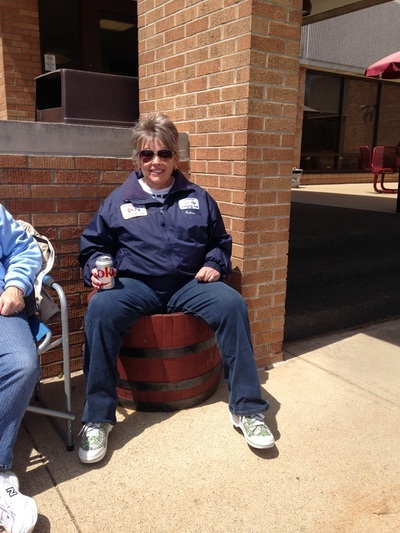 One club went above and beyond as they had a van full of items which filled three of the tubs. 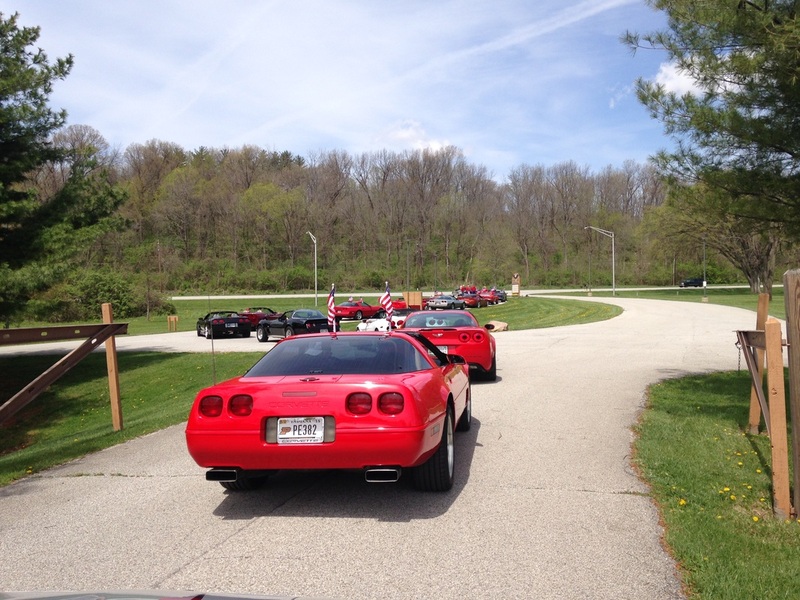 This is becoming a premier event for the Indiana Region, and will continue to grow in future years! Thanks to Star City and Lafayette Corvette Clubs for holding this great event.